Entrepreneurs enjoy freedom, creativity, the chance to make a fortune, and the opportunity to change the world. If you’ve ever dreamed of bringing a new technology to fruition, the Embry-Riddle Master of Entrepreneurship in Technology (MoET) is your chance to apply your creativity to solve real-world problems. The U.S. aviation and aerospace industries need groundbreaking innovation to stay competitive and prosperous. The field’s most inventive minds have come together to create a unique degree program for the next leaders of this revolution. Imagine exploring cutting-edge ventures while learning how to build and market your ideas. You’ll have the opportunity to apply your skills and vision in a structured, collaborative setting designed to help you soar. The Internet of Things, artificial intelligence, unmanned vehicle systems — great discoveries come from applying unorthodox thinking to solve the world’s problems. By providing the tools you’ll need to bring your technological innovations to life, the Master of Entrepreneurship in Technology provokes daring thought and fosters practical application within the aviation/aerospace industry. You’ll explore, identify, and develop technology that targets today’s most urgent challenges while analyzing and creating business models to market your ideas successfully. Cutting-edge resources, award-winning faculty with start-up experience, and invaluable industry partnerships are all available to you through the Master of Entrepreneurship in Technology. Core classes include training in entrepreneurship, leadership, and technical application. So whether you want to join an existing company working on innovative solutions or start your own venture, Embry-Riddle’s MoET will help take you there. 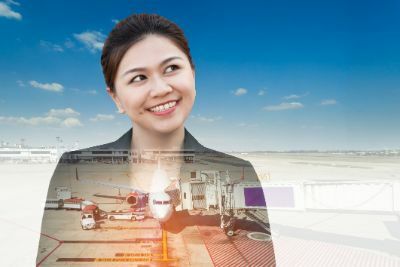 The Master of Entrepreneurship in Technology (MoET) is a program designed to provide graduate students the knowledge necessary to take new technological innovations to market within the aviation/aerospace industry. The purpose is to provide a global understanding of entrepreneurship and technology-based ventures while using effectual reasoning principles to bring those new ventures to market relevant to the aviation/aerospace environment. Knowledge can be directed toward new company ventures or the collaboration of bringing new ideas into existing companies. The process will be accomplished through education in entrepreneurship and technology: exploration, identifying and development of technology-based ideas/ventures, analyze opportunities and business model design/development, ethical and legal issues, and technology commercialization in a global environment. As a partner with ERAU’s Research Park, the MoET will provide students the tools to incubate viable entrepreneurial ideas. The program goal is to produce successful problem solving entrepreneurs who are qualified as individuals or through collaboration to create opportunities in the global aviation/aerospace industry. After a job injury prevented her from working in law enforcement, Tanis Loomis was at a crossroads in her career. With a bachelor’s degree in emergency and disaster management, 14 years of volunteer service in search and rescue and a job in emergency management, law enforcement was the career she had always worked toward. Yet, she never envisioned the path her future would take her on.